Clubs are lurking for Leroy, but Kevin Muscat is under no illusions as to how important the Dutch winger is to Victory, saying the club are doing "everything" to keep him. 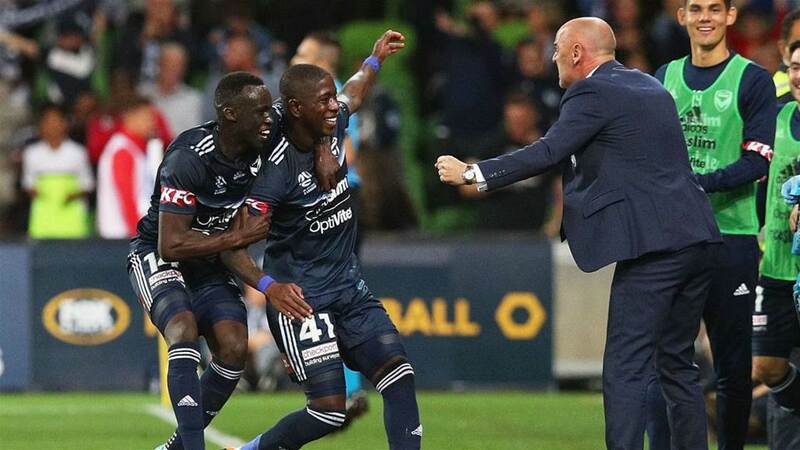 Leroy George has become a sole bright spot - and an overall A-League sensation - in a rough season by Victory's lofty standards. While Muscat's men are now up to fourth in the league, making a finals appearance for the Big V an almost-certainty, much of this is down to George's 12 assists in 20 games. His form has other clubs interested, and with news that Besart Berisha and James Troisi are scheduled to take Victory's two marquee spots next season, holding on to George could be a struggle. “We will do everything within our powers to keep him here and I certainly want him at the club,” Muscat said. “I’m not surprised other clubs are interested. Leroy has been very good for us and his performance last week was outstanding. “All conversations with him and his management will remain private but we want him to be a part of the setup going forward. Putting George's retention to one side, Victory's clash against Melbourne City tonight becomes one of the most important Melbourne Derbies in recent history. A win would move Muscat's side to one point behind their neighbours with only five regular-season rounds remaining. “The excitement factor is through the roof as it’s the final derby in front of a big crowd at AAMI Park," Muscat said. "From our perspective it’s about building on our controlled performance from last week. “They are always [feisty] and they’re always built as the ‘biggest derby ever’. If anything, we had a bit of practice last week, because the Adelaide game was built on rivalry. “My focus is entirely on tomorrow night. The players understand the risks of following a good performance but we’ve identified those risks."